This is a conversion of the NT7 indicator AutoTrendLine. 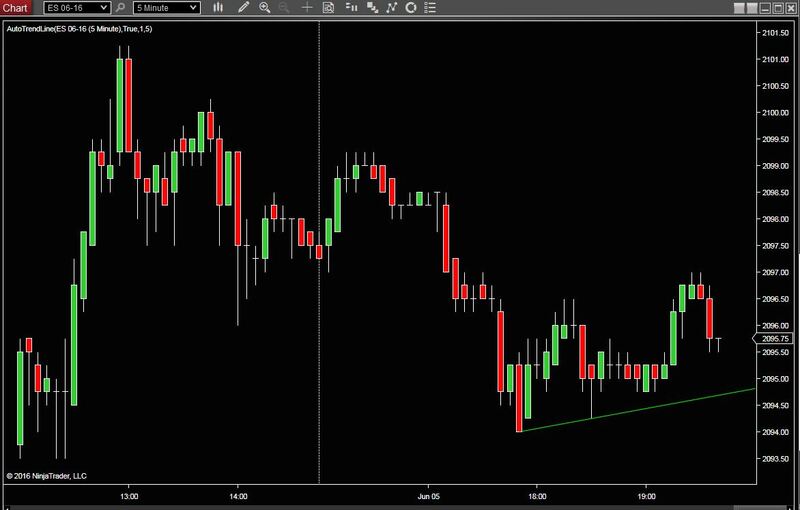 Uses the swing indicator to place a trend line, based on the swing strength value. A cross of the trend line is indicated on chart with an arrow and is sent to the Alerts Panel. New in this version is a transparent plot that can be used in the Market analyzer. 0 = no break, 1 = buy signal, 2 = sell signal. Alert sound can be enabled and selected.